Looking for a special gift? The Satellites Auxiliary is holding its personalized ornament sale this week. 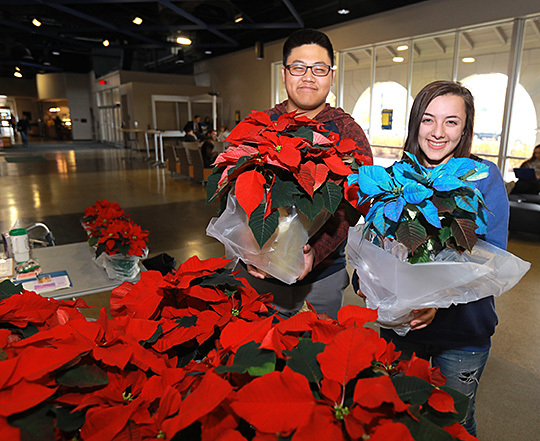 The sale will take place in UT Medical Center’s Four Seasons Bistro Atrium Monday through Wednesday, Dec. 10-12. Stop by Monday from 7 a.m. to 5 p.m., Tuesday from 5 a.m. to 5 p.m., and Wednesday from 7 a.m. to 2 p.m.
Cash, credit cards and payroll deduction will be accepted. A portion of the proceeds will benefit health science scholarships and patient programs. The Satellites Auxiliary is a group that promotes education, research and service programs; provides support of patient programs in accordance with the needs and approval of administration; conducts fundraising events; and provides volunteer services. For more information on the sale, contact Brand at lynn.brand@utoledo.edu. 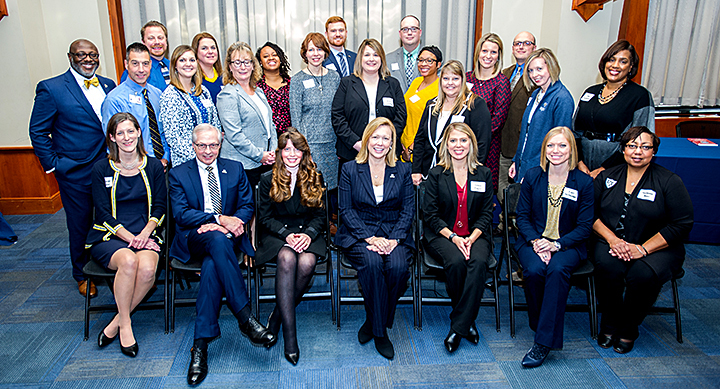 Twenty-one University of Toledo staff members who were in the Staff Leadership Development Program’s first cohort graduated Nov. 8 and were officially recognized at a luncheon held in their honor in the Thompson Student Union. The program was launched in 2017 based on feedback gathered during the strategic planning process from employees who wanted a formal pathway to grow professionally. “Our goal for this program is twofold — to help candidates grow in their existing positions, as well as to prepare them for expanded leadership roles at UT in the future,” noted Wendy Davis, associate vice president and chief human resources officer. The one-year Staff Leadership Development Program includes complimentary courses, lectures, assessments and experiential learning facilitated by UT senior leaders, faculty and other subject matter experts. “Each participant was carefully selected by a multidisciplinary team and completed all required assignments, readings and a capstone project in order to graduate,” said Carrie Herr, director of the Center for Continuous Improvement, who has oversight of the program. 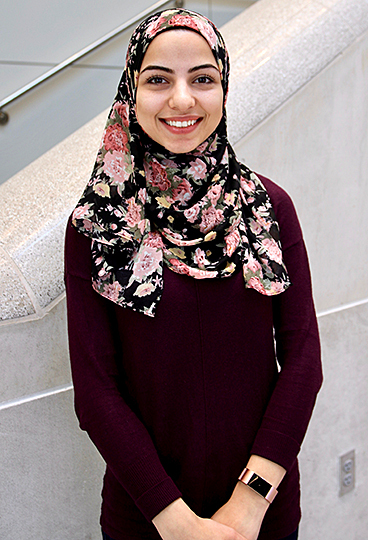 The program has been very well-received, with members of the first cohort representing a wide range of staff positions and departments across UT campuses, according to Herr. In addition to Donovan and Turner, first cohort UT Staff Leadership Development graduates are Stefanie Bias, College of Medicine and Life Sciences; Stacey Jo Brown, Office of Legal Affairs; Candace Busdiecker, College of Medicine and Life Sciences; Lori DeShetler, College of Medicine and Life Sciences; Josh Dittman, Intercollegiate Athletics; Shelly Drouillard, Career Services; Jamie Fager, College of Natural Sciences and Mathematics; Beth Gerasimiak, Office of the Provost; Melissa Hansen, College of Medicine and Life Sciences; Heather Huntley, Office of the Provost; Angelica Johnson, College of Arts and Letters; Deirdre Jones, College of Business and Innovation; Sara Lockett, Purchasing/Finance; Elliott Nickeson, Internal Audit and Compliance; Daniel Perry, Facilities and Construction; Jason Rahe, Division of Technology and Advanced Solutions; Staci Sturdivant, College of Health and Human Services; Tiffany Whitman, University College; and Matthew Wise, Division of Technology and Advanced Solutions. 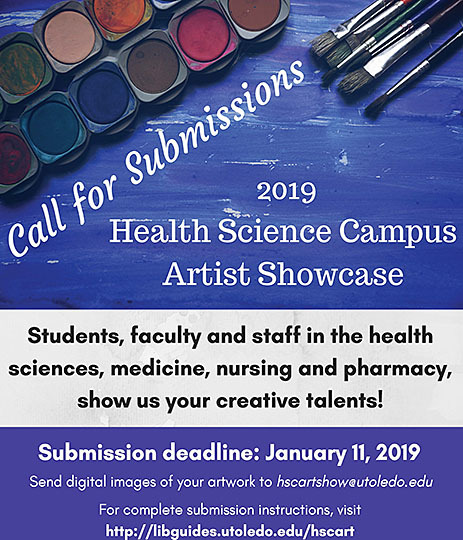 A second cohort began course work in October and will graduate in November 2019. Members of the first cohort to graduate from the Staff Leadership Development Program posed for a photo last month with President Sharon L. Gaber, seated center, and Lawrence R. Kelley, executive vice president for finance and administration and chief financial officer, second from left seated, and Carrie Herr, director of the Center for Continuous Improvement, seated between Kelley and the president. 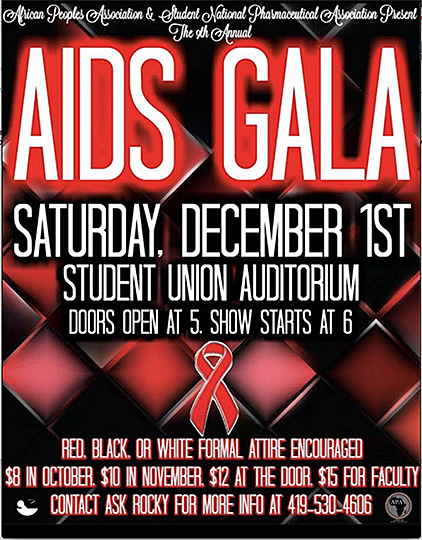 The University of Toledo African People’s Association and Student National Pharmaceutical Association will hold the ninth annual AIDS Gala Saturday, Dec. 1, in the Thompson Student Union Auditorium. 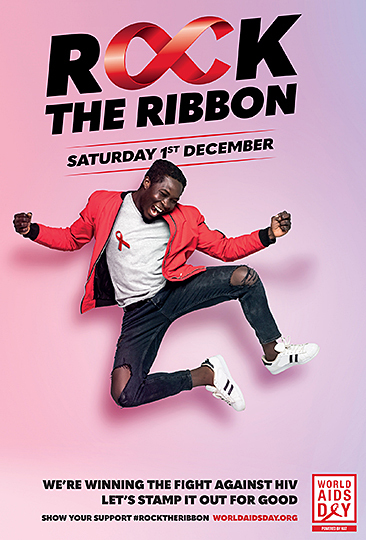 The awareness gala, which is taking place on World AIDS Day, will include stories of survivors and information about how to protect yourself from HIV/AIDS. This year’s event also will feature live music and performances by the UT FIRE Squad Dance Team and UT Gospel Choir. In addition, free HIV testing will be available. Doors open at 5 p.m. with the event beginning at 6 p.m. Attendees are asked to wear red, black or white formal attire. “We hope that this year’s AIDS Awareness Gala will show people who have HIV/AIDS that there are people who support them, and for those who think that they are safe from any sexually transmitted infection to be more informed on not only HIV/AIDS, but other STIs,” said Nikela Johnson, event coordinator for the African People’s Association. Advance tickets are $10 and can be purchased on the UT Marketplace website. Tickets at the door will be $12. Proceeds from the gala will be donated to the UT Medical Center’s Ryan White Program, which provides care and counseling for individuals and families affected by HIV/AIDS. For more information, email the African People’s Association at apa.utoledo@gmail.com or call Ask Rocky at 419.530.4606. UT Medical Center continues to look for opportunities to be more efficient and align hospital resources with clinical priorities. This winter, the hospital will focus those efforts into renovating and expanding Glendale Medical East to meet the primary care needs of patients with increased access and convenience. The comprehensive health and wellness center will pair family medicine and internal medicine subspecialists in pulmonology, endocrinology, nephrology, cardiology and gastroenterology who will relocate from Ruppert Medical Center. South Toledo Internists also will relocate their practice from Glendale Medical Center. The facility will feature an additional 44 exam rooms, a retail and specialty pharmacy, general x-ray and basic lab draws. Academic space, a break room and locker rooms also will be incorporated. The convenience of centralized registration will make check-in easy for patients, and with subspecialties co-located in the same building, physician communication and referrals to subspecialties will be improved. Construction is expected to conclude in spring 2019. 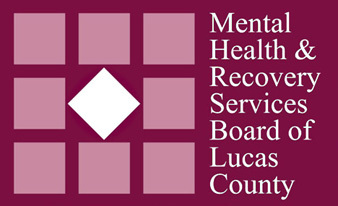 Once clinics locate their practices to Glendale Medical East, vacant space in Ruppert Medical Center will be used to accommodate expansion of remaining clinics, as well as providing additional space for outpatient behavioral health services. “Thank you to the family medicine and internal medicine teams for their input during the design process, and to Facilities and Construction for their diligent work in facilitating the capital improvements,” Allen Siefert, chief administrative officer of outpatient integrated clinic operations, said. UTMC is working with partners in clinical offices and facilities to make these transitions as smooth as possible and will continue to share updates as construction progresses.